HFUF has been awarded grants from Hawaii Department of Agriculture (HDOA), the Atherton Foundation, Maui County, and Kamehameha Schools. 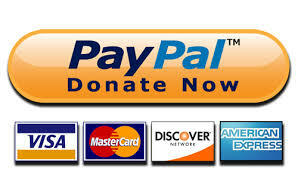 Since HFUF is a 501(c)3 non-profit organization, your generous donations are tax deductible as allowed by law. Click the PayPal button to the right to make a secure online donation - in the amount of your choice - with your credit card, debit card, or PayPal account. Hawaii Farmers Union Foundation (HFUF) recognizes that climate change, pressure on our fresh water resources, global political instability, and a fragile global food supply chain are factors that contribute to food insecurity. As a buffer against this insecurity, we ask our sponsors, donors, and supporters to invest in resilient and sustainable agriculture in Hawaii. The solution is at our fingertips. It helps to mitigate climate change by sequestering carbon into the soil with regenerative forms of agriculture and whole systems approaches to production. Building healthy soil (‘aina), respecting water (wai), and growing communities that produce and consume nutritious and delicious locally grown food. That’s our approach to sustainability in Hawaii and, indeed, as a species on earth. It is time to be the change we want to see. We ask for your support to grow the future our grandchildren deserve to enjoy. • Contact Us with your questions, requests for more information, or offers of additional support.